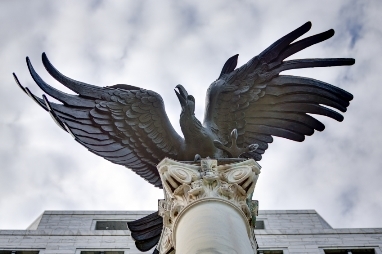 Following the stronger than anticipated gain in employment in October, expectations for the US Federal Reserve to raise fed funds at its December meeting increased, according to data compiled by Royal Bank of Canada. Employment increased by 5.0%, reflecting continued steady domestic spending activity for the final quarter of the year. Although the Federal Reserve is close to reducing policy stimulus, the Bank of Canada (BoC) and Bank of England (BoE) are likely to keep the policy rate steady for the rest of the year. On the other hand, the European Central Bank (ECB) is ready to extend policy support, and is expected to announce a cut to the deposit rate and a rise in the quantitate easing program during its December meeting. According to the MSCI, world stock markets are taking the projected rise in fed funds quite well, with the index losing only 0.8% this month, so far. This was but a fraction of the 7.8% increase posted October. The US dollar continued to move up, and it is expected to appreciate even more as the Federal Reserve implements the first rate hike and continues to reduce policy stimulus at a gradual pace.